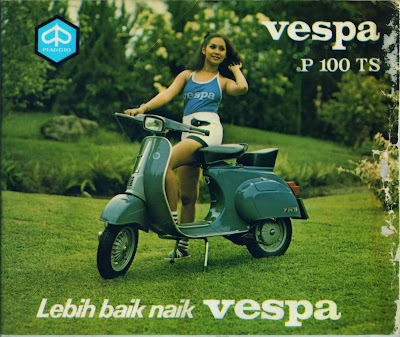 Vespa acquired popularity beyond Europe and North America. When looking to expand into markets outside of Europe and North America, it was common for Vespa to partner with, or license certain models to already existing manufacturers. Though the motorcycle industry has been and still is dominated by Japanese companies, Vespa still has a small but significant markets. While details are sometimes hard to come by, especially in some markets, some information is known. Piaggio first licensed the production of Vespa scooters in India to Bajaj Auto in the 1960s. In 1971, Piaggio's license was not renewed as a part of Indira Gandhi's privatization programs. After the collaboration ended, Bajaj continued to produce scooters of its own design, namely the Chetak, using design and engineering cues it had gleaned from the earlier affiliation. Another Vespa partner in India was that of LML Motors. Beginning as a joint-venture with Piaggio in 1983, LML, in addition to being a large parts supplier for Piaggio, produced the P-Series scooters for the Indian market. In 1999, after protracted dispute with Piaggio, LML bought back Piaggio's stake in the company and the partnership ceased. LML continues to produce (and also exports) the P-Series variant known as the Stella in the U.S. market and by other names in different markets. Piaggio, in 2007, announced plans to reenter the Indian market. This time, however, Piaggio plans to do so with a wholly owned subsidiary. Vespa has had various partnerships and presence in Taiwan. 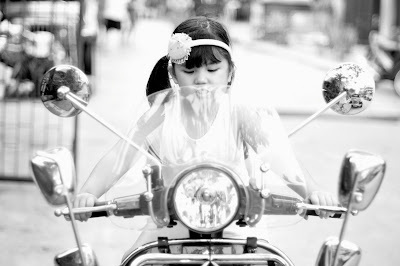 In 1965 Taiwan Vespa Co. Ltd was licensed for Vespa scooter production. From 1972 to 1982 Vespa entered into a collaboration with manufacturer PGO. In 1978 Vespa entered into a collaboration with TGB, which to some extent, continues to this day (namely with CVT transmission production). A company known as Dan Motors Vespa produced Vespas under license for the Indonesian market. The resurgence in interest in vintage motor scooters has also spawned the scooter restoration industry, with many restored Vespas being exported from Thailand, Vietnam and Indonesia to the rest of the world. Vespa scooters are again in use in India. This is good new for Piaggo motors that this scooter is came back in presence when the scooter market is being up in India.